THIS PRODUCT HAS BEEN DISCONTINUED AND IS ON CLEARANCE. This product page is for purchases under 5 bottles. When the body and mind are pushed to the limit, things can get a little out of whack. Activities that contribute to overexertion, sleep deprivation, stress, and use of alcohol, caffeine or other drugs can drastically affect our brain chemistry. This can contribute to depression, feeling of anxiety, mental fogginess, lack of motivation, trouble focusing etc. 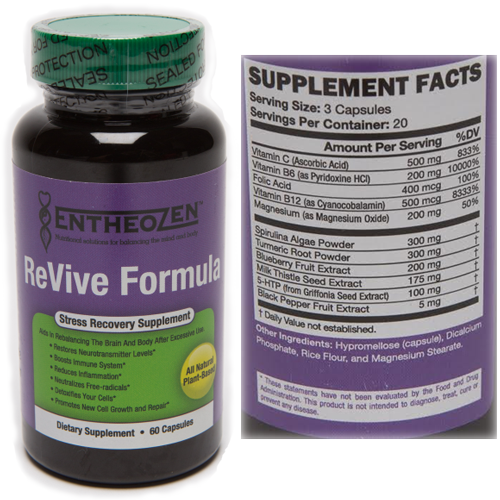 This stress recovery formula was created to help balance our brains and bodies after the abuse we put them through. 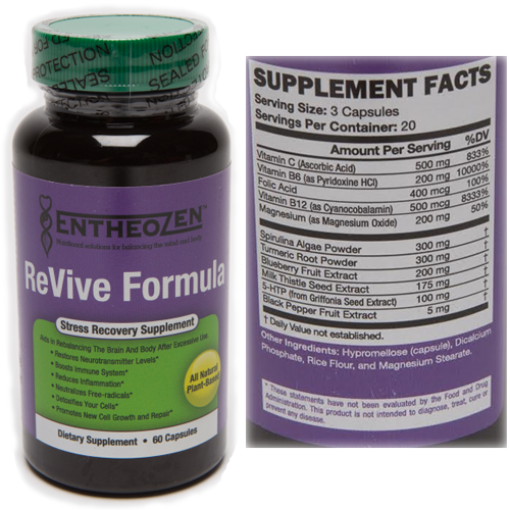 This formula was specifically designed to promote production of serotonin and dopamine, restore nerve function, promote brain cell regeneration and repair, promote a healthy inflammatory response, boost the immune system, detoxify cells, and neutralize oxidative stress. For those pushing their body and minds to the limits; students, travelers, hard workers, parents, and party warriors may rejoice! Inflammation in the brain and body. 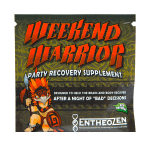 Insomnia, exhaustion, pain, headache, and feelings of sadness, anxiety or irritability. Optimal brain health and resilience is the secret to combating stress. When equipped with the resources it needs, the brain is remarkable at rebalancing and repairing it’s self when the body undergoes a stress response. While obviously eliminating the source of the stress is the best way to fight it, that’s not always under our control. the next best thing we can do is give our body the raw materials to adapt to and repair the damage that stress does to our brains. This formula was designed by applying these cutting-edge neuroscience concepts to support optimal brain resilience from physical and mental stress. Filling in Nutritional Gaps- Providing the body and brain with nutrients that are fundamental for biochemical processes is vital for optimal wellness. Stress can rapidly deplete levels of neurotransmitters, enzymes, minerals and other key nutrients in the body. Just as you need bricks to build a brick wall, you need the raw materials to build and maintain your brain tissue. 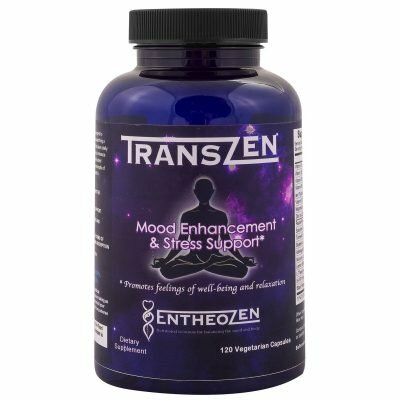 In addition to correcting deficiencies, this includes providing precursors materials and enzymatic cofactors for the body to build neurotransmitters, proteins and neuronal structures such as dendrites, synapses and fatty cell membranes. A brain that has the materials to repair it’s self is much more resilient to stress, toxins and environmental changes. Combating Oxidative Stress- Though it is a natural part of life, oxidative stress is essentially what damages our cells (neurons and all). 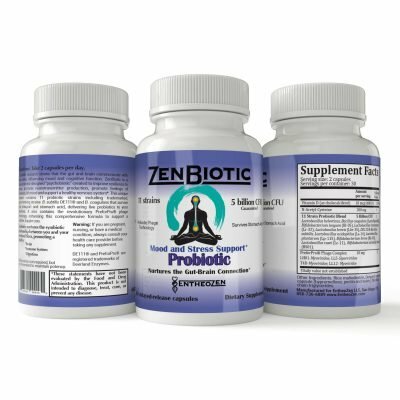 Excessive activation and stress in the nervous system increases damage from oxidative stress by increasing the amount of free-radicals released and depleting antioxidants that neutralize them. Many plant-based antioxidant compounds in our formulas have been observed to stimulate the Nrf2 pathway, activating genes and promoting the body’s own production of endogenous antioxidant molecules such as glutathione. Activating this pathway by consuming polyphenol rich foods and supplements helps your body combat oxidative stress by neutralizing the free radicals with your body’s supply of antioxidants. Promoting Neurogenesis- Many studies show a trend that loss of neurons are associated with cognitive decline, mood disorders and a number of neurodegenerative diseases such as Parkinsons and Alzheimers. Neurogenesis is the growth of new neurons, dendrites and synapses. Sleep deprivation is one of the biggest assaults to our brain, resulting in damage to brain cells and atrophy of brain tissue. Elevated stress hormone also wreaks havoc on our brains ability to perform neurogenesis. A growth factor called BDNF (brain derived neurotrophic factor) plays a big role in facilitating the repair, maintenance and growth of new neural networks. Many things can stimulate BDNF and promote neurogenesis such as certain foods/plants, exercise, meditation, fasting and more. Scientists agree that promotion of neuronal growth is an important marker of brain and mood health. Learn about all the amazing ingredients we chose to add to ReVive. Click on “ingredient Information” or “Scientific References” to open. Spirulina is blue-green algae, composed of two species of Arthrospira. It is considered a complete protein, meaning it contains all 9 of the essential amino acids. This includes L-tryptophan, which can be converted into serotonin, and also L-phenylalanine and L-tyrosine, which can be converted into dopamine. It also contains the omega-3 fatty acids, alpha linolenic acid and Alpha Lipoic Acid (ALA), which have neuroprotective effects, can aid in managing depression, and contributes to overall brain health. Spirulina contains a number of vitamins and minerals, with especially high amounts of B vitamins and iron. Spirulina is also useful for preventing oxidative damage, promoting stem cell genesis, and preventing memory loss. Black pepper, from the plant Piper nigrum, contains a polyphenolic compound called Piperine. Piperine has been clinically shown to improve the absorption of nutrients when taken with food or other supplements. It is also a strong antioxidant and anti-inflammatory compound. Piperine has also been found to be an effective pain reducing agent. Black pepper also aids in digestion and detoxification. Piperine can inhibit certain enzymes that break down compounds in the body, resulting in elevated levels of neurotransmitters and better absorption of circulating nutrients, phytochemicals or drugs from the blood stream. 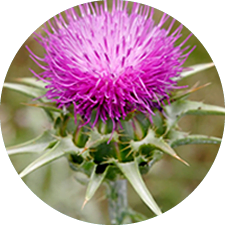 Milk Thistle (Silybum marianum) has been used traditionally in chinese medicine to treat the liver. It contains many pharmacologically active compounds including Silymarin and Silibinin. Research suggests that compounds from milkthistle stimulate regeneration of liver cells, stimulate detoxification pathways, stabilize cell members, and inhibit growth of cancer cells. It also has been found to boost antioxidant production in the body. Research suggest that consuming milk thistle increases levels of serotonin, norepinephrin and BDNF (brain derived neurotrphic factor). Milkthistle extracts have also been found to enhance protein synthesis, and have inflammatory and immune modulating activity. Silymarin shows evidence of neuroprotective properties in neurodegenerative diseases and stress-induced damage in neurons. Liver health is very important for brain and mood health because of it’s important role in detoxification of organs, regulation of hormones and enzyme production which effects nutrient metabolism. Protective effects of silibinin and its possible mechanism of action in mice exposed to chronic unpredictable mild stress. Silibinin prevents dopaminergic neuronal loss in a mouse model of Parkinson’s disease via mitochondrial stabilization. Possible involvement of nitric oxide in antidepressant-like effect of silymarin in male mice. Silymarin effect on amyloid-β plaque accumulation and gene expression of APP in an Alzheimer’s disease rat model. Our products are manufactured in an facility that is certified by the FDA as having G.M.P (Good Manufacturing Practices) standards. Warning: If you are pregnant, nursing or have any medical condition, consult your physician before use. Discontinue use if any adverse reaction occur.